A new favorite tool is the Envelope Punch Board... If you haven't played with it.. you so have to!! I adore that I can take my scraps of pretty paper, wrapping paper, card stock and create beautiful Envelopes (cards, 3D gifts and so much more!!). Create 66 different sized envelopes... in addition to file folders (of limitless sizes), 3D Gifts and MORE! 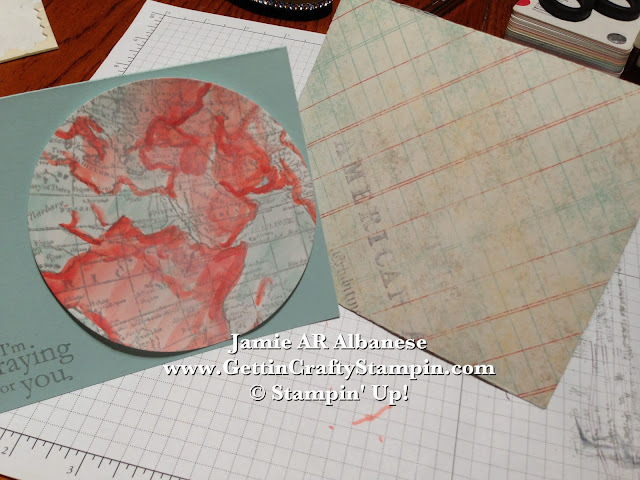 Simply pick the size of card you want, cut the paper to the size and score along the guidelines and punch when you score... you, too, can create these fun projects in mere moments. 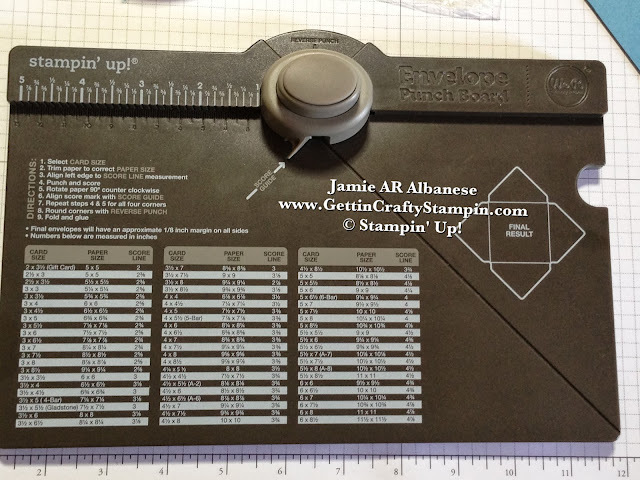 See what this Envelope Punch Board (#133774) can do for you! 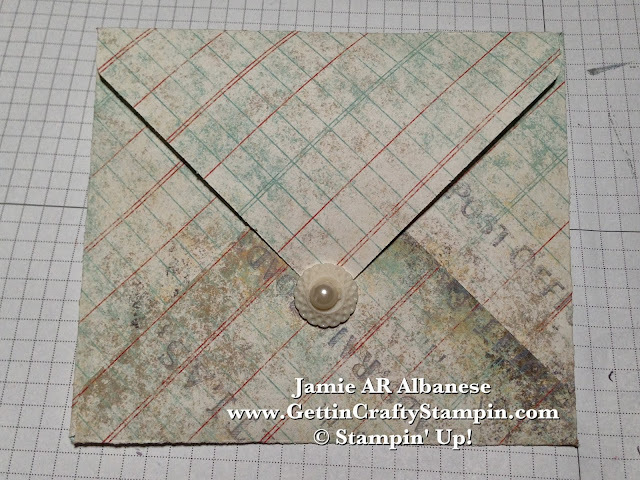 I planned to GIVE this envelope... so using the Very Vintage Designer Buttons (#129327) for a feminine, vintage accent. Adhered with Glue Dots (#103683) and accented with the adhesive backed Large Pearl Basic Jewels (#125577) for an elegant accent. 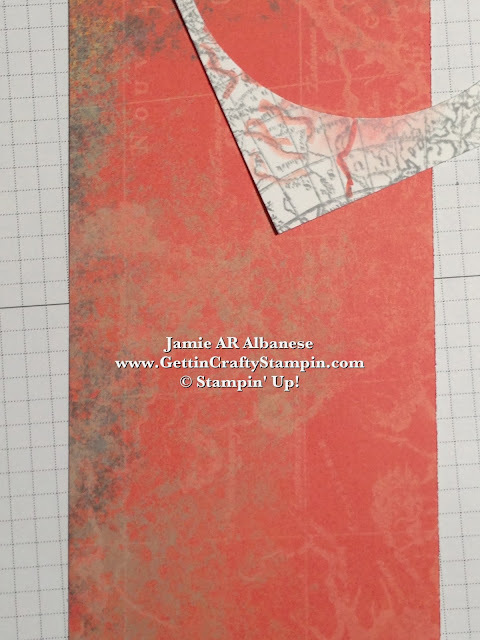 Adhere ONLY the bottom half and now the envelope flap can tuck under the embellishment. This Epic Day This and That Designer Series Paper (#130814) is oh so pretty!! I LOVE it... a great mix of old and new, cool and classic... it is DOUBLE SIDED so it now has a color and pattern coordinated inside! 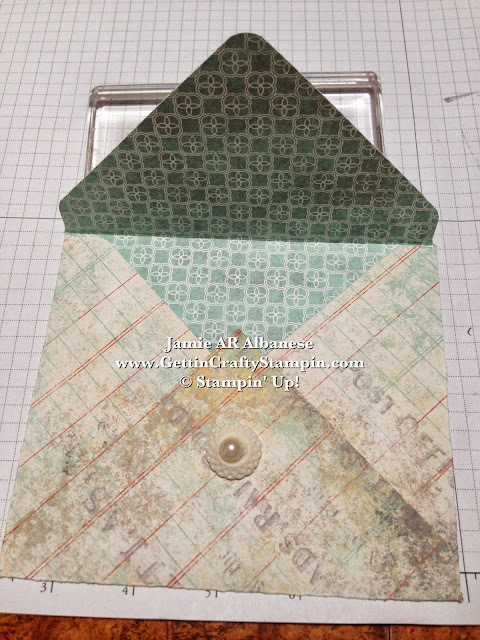 Here Jenna helped create this envelope at a recent class and with no prior experience had a blast! Coordinated to the card it is sure to WOW... and this Epic Day This and That Designer Series Paper has great map patterned pages... perfect for this globe card. Any page that fits your style can create a stunning and personalized envelope, card and more!! Again, it's limitless!! Everyone has scraps of paper they've hoarded (or is that just me, lol??) or not used.. give them a new life as a bonus gift in a beautiful envelope!! It's so easy to do and less expensive than purchasing envelopes for unique sized cards!! This light weight, easy and simple board is a great gift for others or yourself! A MUST for everyone's crafting collection... it will be a classic tool sure to be well used!! Some tools are a MUST... this Envelope Punch is just that! I LOVE It!! What would YOU do with it? 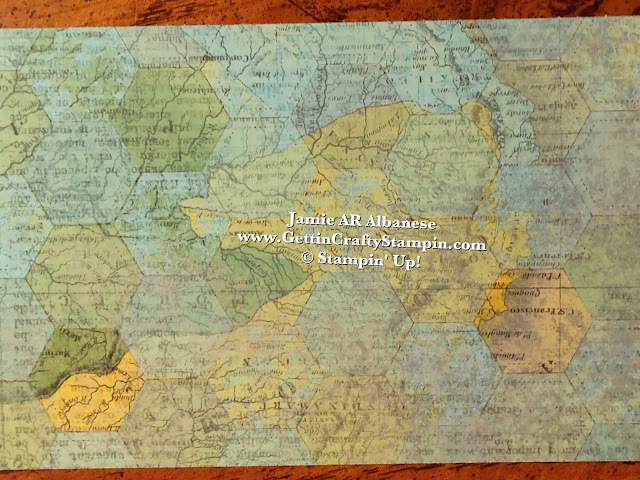 Using those scraps of paper in a new RePurposed way... a new life to a paper that was forgotten. Go ahead, try it out... see what all the buzz is about!